Mica Muscovite is a mineral which has light reflective properties that’s why you’ll find it on the ingredient list of most shiny, reflective or iridescent products. I’ve mentioned numerous times how I love anything that sparkles and I’ve been told that reflective highlighters are having a come back this season but as far as I’m concerned they never went away. I simply think this type of illuminator is now being applied differently, either on its own or intensely with equally intense contouring. I really don’t have a preference between powder or cream highlighters, I choose either as and when I think the look requires it, or as my mood takes me though I do tend to use powders when I want a definitive look and creams or liquids for a fresh/youthful appearance. 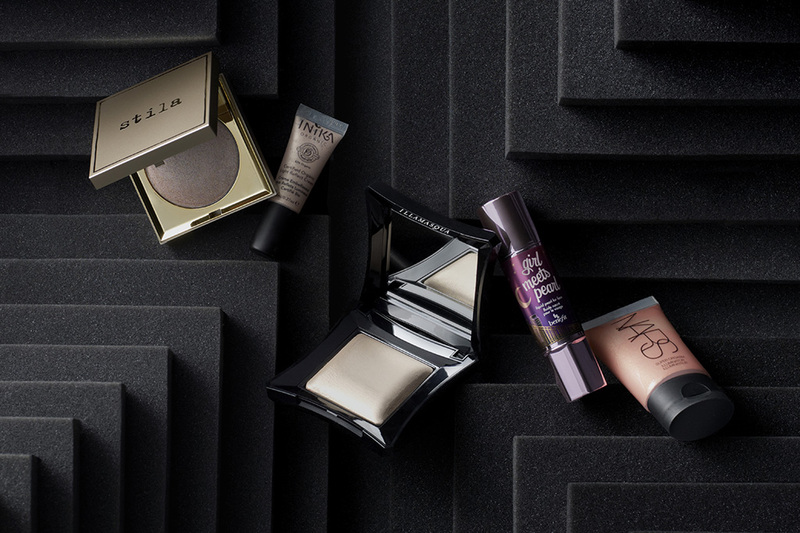 Also if I want to achieve a velvet like skin texture I love adding a drop or two (liquid or loose powder) to foundations, the skin looks so rich…just like velvet. However I have to be careful what lighting the photographer is using, if it’s flash photography the skin can appear a little less ‘velvet’ and a lot more ‘The Tin Man’ from The Wizard of OZ! **Caution! Remember light reflective products emphasise skin texture so keep them to the smoother taut areas of the face and body i.e. the top of cheek and brow bones, the ‘V’ of the cupids bow, collar bones, etc. Benefit Girl Meets Pearl is ‘thee’ one for me. This liquid adds a pink/golden transparent luminescence to the skin. Because of these two colours it works with a wide range of skin tones. 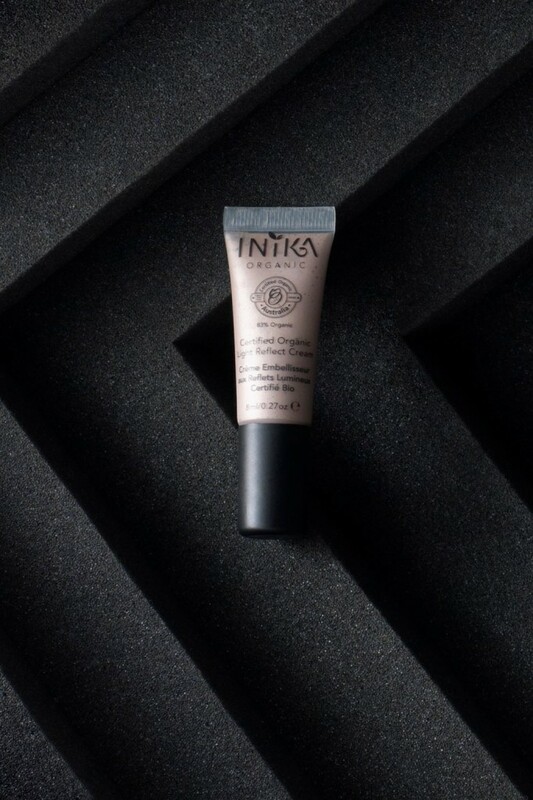 Inika Certified Organic Light Reflect Cream is the perfect consistency and texture for adding to foundations, body lotions, moisturisers. A little goes a long way. 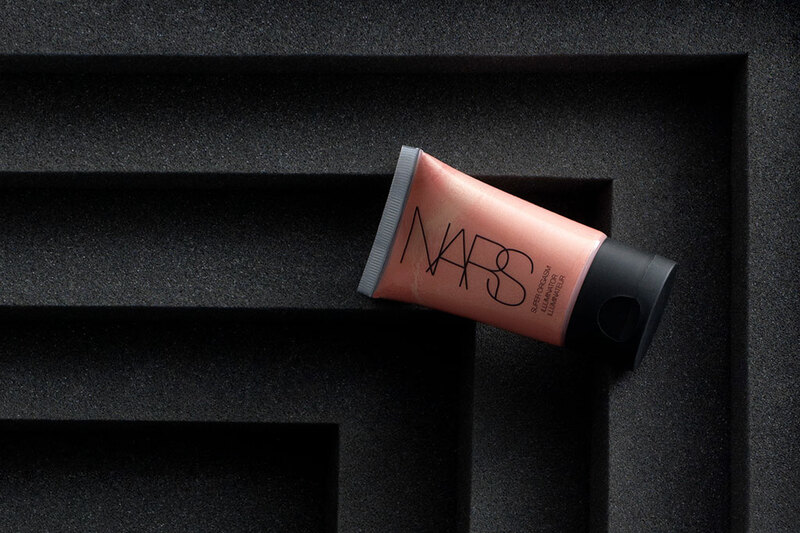 Nars Illuminator is a trusted and staple in most Make-up Artists kits. The colour Laguna is GREAT for darker complexions. 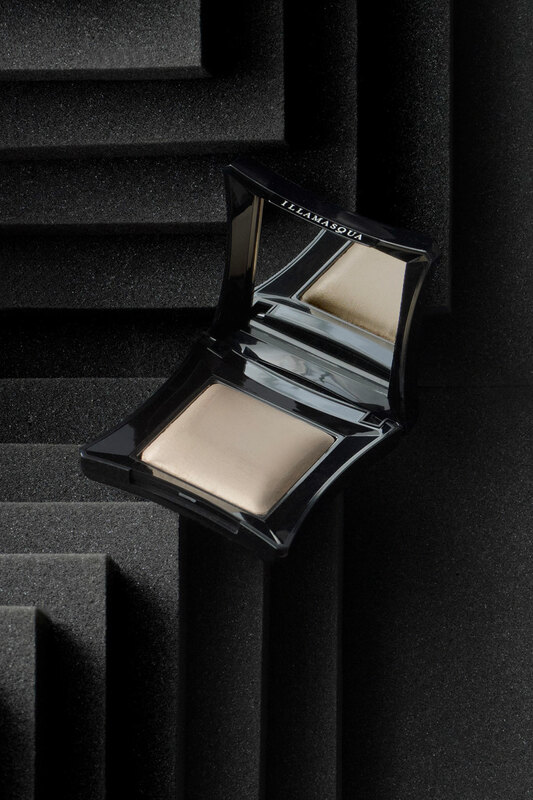 Illamasqua Beyond Powder range is the Daddy of all highlighters! A very little goes a VERY long way, definitely keep it to the high points of your face because a light dusting of this and you WILL sparkle like Tinker Bell! Their colour range is impressive, from gold; copper to bronze. 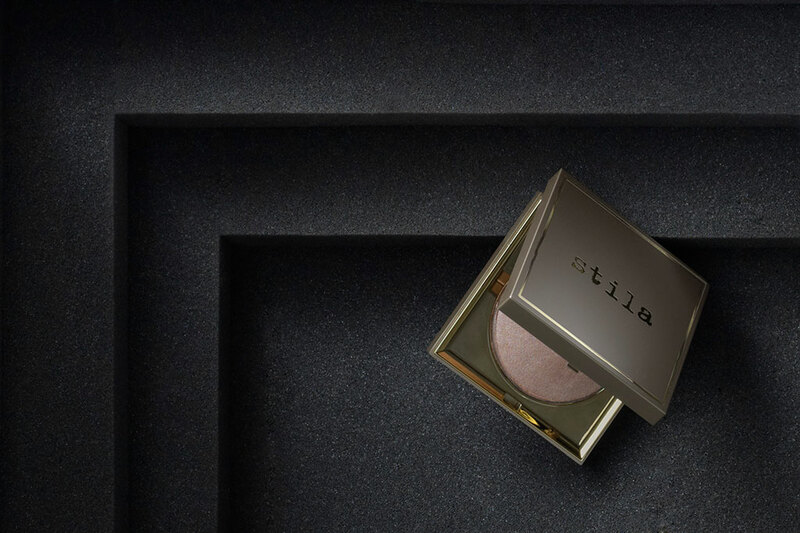 The cream/gel close equivalent to the Illamasqua Beyond Powder is Stila’s Heaven’s Hue Highlighter. This highlighter glides on effortlessly due to the bouncy solidified gel/cream consistency you’ll have better control in applying.